While you may have tried and true procedures for things like sharpening pencils and lining up for lunch, chances are you’re still figuring out classroom rules around technology. Should you allow students free Internet time when they are done with their work? 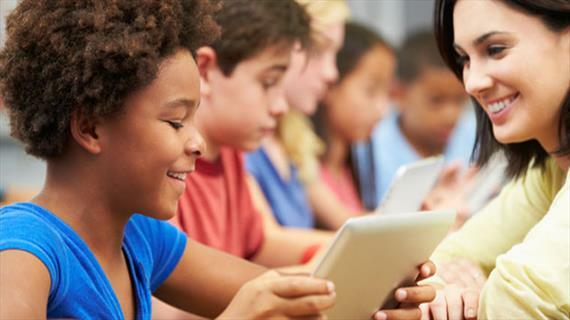 Should students be able to sign up for tablet time or are you the unofficial Queen of the iPad? “If you don’t finish today’s classwork on the computer, tomorrow you’re using paper.” The opportunity to use technology can be a great motivator and keep students on task, says teacher Drew Blazo. “Making QR codes for the sites you want students to visit prevents a lot of wasted or inappropriate search time,” recommends Tami Polenz. “I purchased an inexpensive shoe rack and numbered the slots. I ask students to store their cell phones and personal devices in one of the slots each day when they come into class,” says Scharla Taylor. How do you keep students focused and on task when using technology? Please share in the comments! 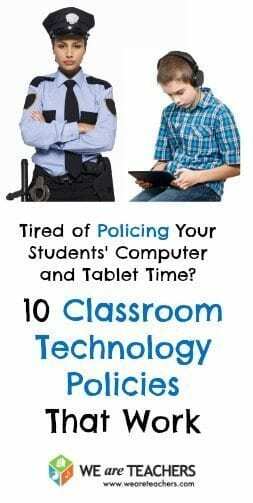 How Much Is Too Much Classroom Technology?